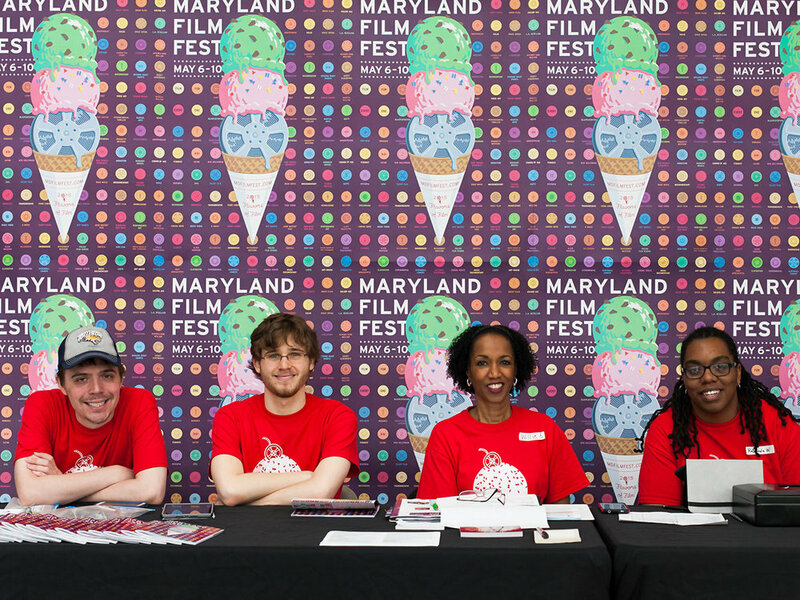 Our “2015 Flavors of Film” campaign embraced the approaching summer, and highlights the wide range of films presented at MdFF’s annual festival. Our delicious and fun illustrations appear throughout the campaign on billboards, yard signs, web, and social media advertising. A full “menu” of film genres creates a colorful background pattern on 2015’s ice cream film posters. Video button sprinkles provide the perfect topping for the Festival’s sweet lineup of films. The Festival’s attendance increased 10% to over 20,000 attendees in 2015. Our ice-cream-themed merchandise designs were particularly popular and included pint glasses, shirts, hats, hoodies, and more. The water bottle design highlights dozens of film genres (including many water-themed ones). The posters form a repeatable pattern, and we hung then in several locations to create an immersive, continuous wallpaper.